Tags: Product Design Mechatronics, Electronic / Mechanical Engineering, 3D Printing, Prototypes, China Manufacture. Exceeding our product-design brief and customer expectation. Combining robust mechanical engineering, with intelligent micro-processor control to provide complete mechatronic integration. Our challenge: Develop a compact, load bearing motorised system to solve the existing problem of adding movement & control to suspended light fittings. 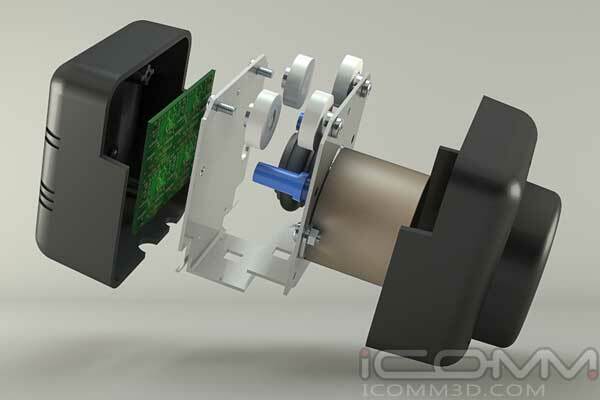 Our solution: A track mounted robotic design, with embedded software to precisely drive and monitor motor position. Further functional controls to pause and change direction were also developed. 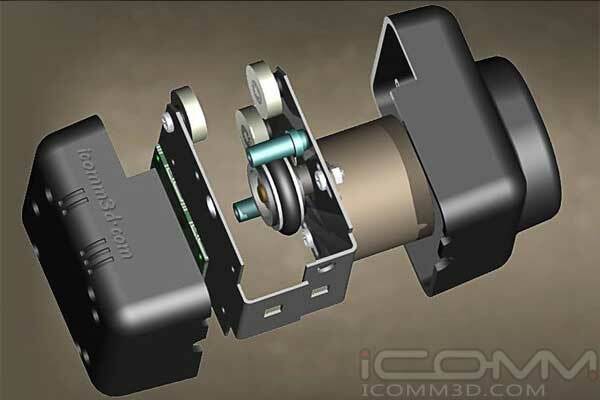 Photo quality 3D rendered images accompanied a CGI animation and fully functional Electronic / 3D printed prototype - to support sales & marketing efforts, convey design intent and complete the development process.